COMMENTS: The sprayer was perfect for misting my sprays. It had a nice even disbursement of mist, which my customers loved. I will be buying more of this product. "Love these for my sprays"
COMMENTS: These are perfect for the bottles I received during th grab bag sale. They spray I nice consistent mist not a direct stream. COMMENTS: The sprayers work wonderfully. No issues with sticking or clogging- even with my slightly thicker sprays. The caps for very well, too. There’s zero dread of opening a bag and finding a cap has popped off a spray bottle, letting product spray all over. These for securely and come on and off smoothly. The spray is a fine mist- no sharp streams and no drips down the bottle. Plus! If you order some slightly taller than your bottle, they’re easy as pie to snip (diagonally) to the proper length. I’m definitely ordering a TON more very soon! COMMENTS: These spray a very light fine mist on the body spray like that they don't leave it dripping off the skin but allow for it to spread evenlyand add to the absorbtion rate. COMMENTS: I love these sprayers and will be buying a lot more in the future. COMMENTS: honestly these are not what i really wanted. I wanted black ones and they were not in stock. I got these and they are perfect. I use these with 2 oz bottles for various things around the house. COMMENTS: These produce a fine mist and do not clog at all in any of the body spray/splash bases. I've also used with some other products and get the same results. The natural color makes these a great fit regardless of the bottle you use. The fact that the tube is longer is actually a good thing...not having to buy multiples just to fit a bottle. COMMENTS: Beard Oil friendly. Men love the sleekness of this pump. Wonderful! COMMENTS: Doesn't clog and looks great paired with any color bottle. I will continue to purchase these in the future. COMMENTS: Works great with the body spray base sold here. Will continue to use and order, but maybe in black? COMMENTS: all have worked well and doesn't spray to much. COMMENTS: I use this product for my bug spray. 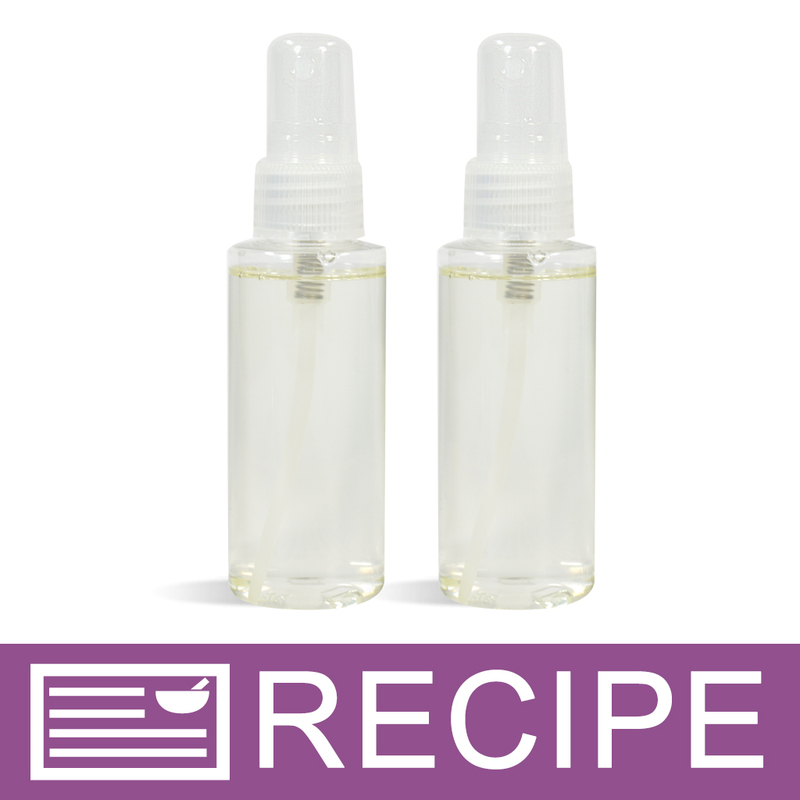 It fits all the way to the bottom of the bottle to ensure you get every drop of the product you purchased, I haven't had any complaints about clogging or defective sprays as I have with other companies. I love these and will continue to use them. COMMENTS: LOVE these sprayers, they are the only ones ive found that you can add shimmer to your perfume and it will pass through with no problems! 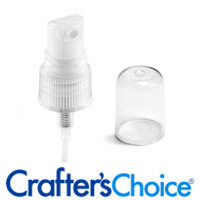 COMMENTS: The sprayer are high quality, the clear cap fit tightly (not flying out when it is in my bag with other items). No dripping or leaking when spraying. COMMENTS: These tops spray good. They last a long time. I use these for my perfume and body sprays. I recommend them for sure!!! 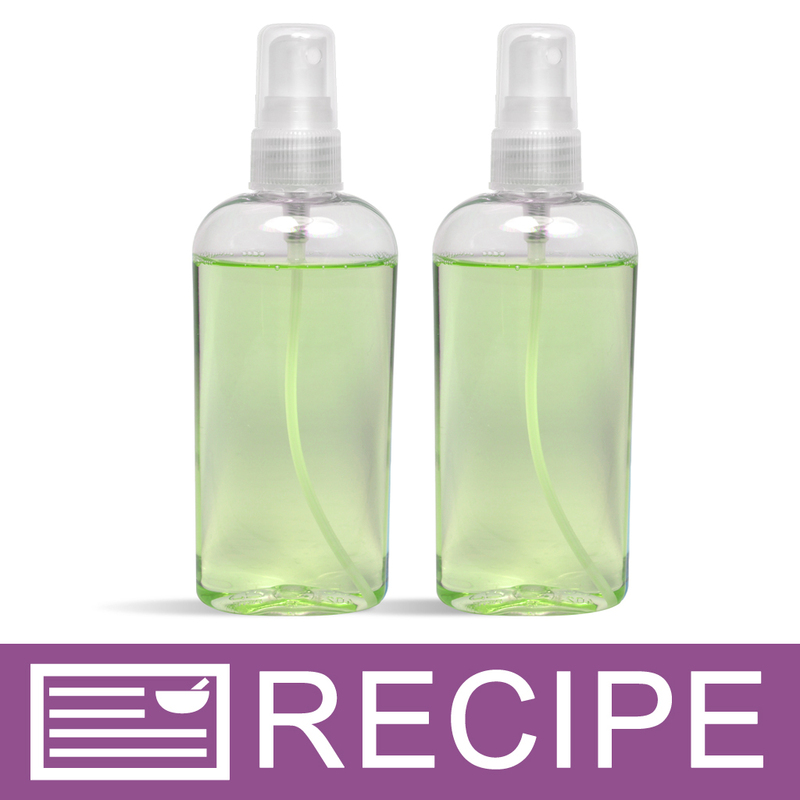 COMMENTS: I Love the spray top and the flexibility that it works on both the 2 Oz and 4 Oz bottles. I buy the larger quantity of the tops and smaller quantity of both the 2 ounce and 4 ounce bottles and it works out perfect! COMMENTS: Its okay only problem is that it's too ling for my 4 oz. bottle so I have to manually cut off a few inches. COMMENTS: Provides an even, fine mist; looks great, never clogs. COMMENTS: Works as described. Didn't find one dud out of the whole lot. Very pleased with purchase and will continue to order more when I run out. COMMENTS: I received these in a kit to make spray hair conditioner and they are great. The mist is a fine mist and easily distributed definitely will be purchasing again. COMMENTS: These are really great quality and they look so nice on the pet bottles. COMMENTS: These are great, a nice fine mist, I have never had a problem with them clogging. The only thing I would change is a variation in the lengths available. I have to cut each one to fit correctly in the bottle. COMMENTS: I use these sprayers in the aromatherapy spray business. Generally, I sell around 300 bottles per month and so far, I haven't had any complaints about defected sprayers. This is probably the best that I've found. The plastic lid fits tightly to the sprayer, which I love. The best part of these sprayers is that you may cut the dip tube to exact length you need. Sprays in a nice, even mist. • Sprays perfectly every time! COMMENTS: Very nice no leaks long lasting. COMMENTS: Fits perfect and looks great on my bottles. COMMENTS: Very convenient and holds up to shipping. COMMENTS: I've used this same sprayer in the black top and was very pleased. I am using this for my pillow/linen sprays primarily. It sprays a nicely controlled mist or spray. These seem to hold up well. I have had no problem when I've trimmed the sprayer to fit the bottle. COMMENTS: I use these for body sprays and room sprays. They work great look awesome and go with any bottle you want to use. I have even been known to grab one and throw it on a bottle of store cleaner etc. when the one on the bottle fails. COMMENTS: I used these on my body sprays. They work great. Just what I needed. COMMENTS: This spray top produces a nice even spray - just what I was looking for. COMMENTS: This is the absolutely perfect pairing for the green bullet bottles. It gives the perfect finishing touch for a high end look and the build quality is great as well. These are a must have for me would not get them anywhere else! COMMENTS: This is great along with the cobalt blue 2 oz bottle. I use the set for travel size sprays. It hasn't leaked thus far, and has traveled in airplanes, road trips, and doesn't look or function any poorer than if it sat at home! Ordering more soon! COMMENTS: These look great and are a great price! COMMENTS: Very professional looking and works great! Easy to cut to the right length and I've yet to come across one that stopped up. Great product! COMMENTS: Perfect for my body sprays and doesn't clog! COMMENTS: These sprayer tops are very well made. Nothing "cheesy" about these! You can't beat the price, either. Will be buying more of these. COMMENTS: These aren't flimsy, cheap sprayers. These are a very nice quality and I'll buy them again. COMMENTS: These are better than I expected and provide a very fine mist. Great for body spray! "Spray great and nice looking too!" COMMENTS: These sprayers work great. No leaking and a great looking finish to a product. COMMENTS: I love the bottle. It is the perfect size and looks exactly like it showed. "Would these fit the 2 ounce clear bottles in the mystery box?" Staff Answer Yes, these would fit the bottles from the Mystery Sale. "These sprayers are clogging up on me. Any suggestions on how to get them to stop clogging or how to unclog?" Staff Answer We do not know if you are using a very thick product that is clogging or if you are using a large amount of mica in your product that will clog the sprayer. "Which Shrink wrap tube fits the top of this? I'd like to cover my sprays." Staff Answer The 50 x 55 shrink wrap band would fit these sprayers very well.